At Writing Tips Oasis, we are committed to promoting diversity in the publishing industry. One area we like to focus on, is the contribution black people have made and continue to make to the sector, from individuals such as these renowned authors, to corporations such as these African American book publishers. 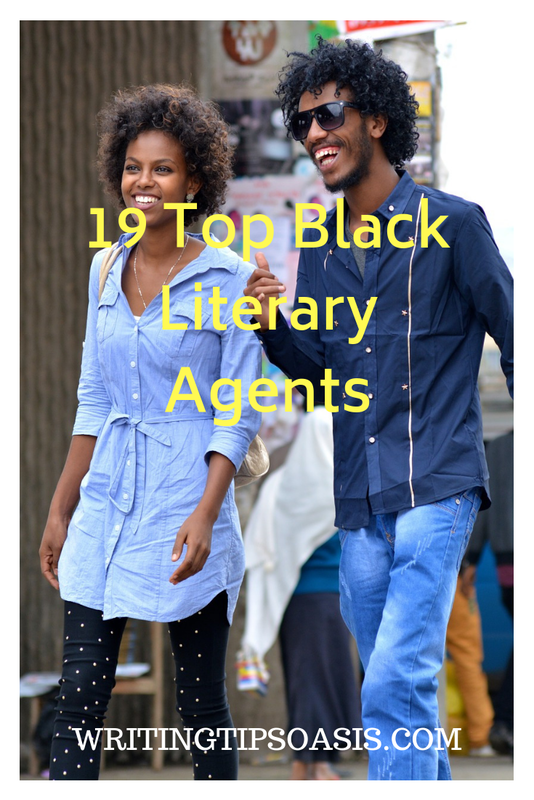 In this article, we feature 19 top black literary agents. If you’re looking to collaborate with a supremely talented literary agent- Sarah Bolling is your best bet! Born in Washington D.C, Bolling holds a Bachelor’s degree in East Asian Studies (Brown University) and a Master’s Degree in comparative literature (university Of London). Over the last one decade, she has also worked with respectable agencies like Norton and the Gernert Company. As of now, she is continuing her gig in the Gernert Company and is actively seeking literary fiction that features strong, bold and a diverse set of characters. Since Bolling is particularly fond of far-flung locations and experimental narrative voices, you should particularly focus on these aspects while sending in your work. Bolling can be reached out on this page. Can you ever go wrong with the founder of the largest African American literary agency in the US? In all probabilities you can’t, and that is exactly why you need to collaborate with Regina Brooks! Unlike the other agents featured on our list, Regina worked as an aerospace engineer before joining the publishing industry. And the best part- she was also the very first African American woman to have received a BSc degree in Aerospace Engineering. But despite her successful career in the aerospace industry, Regina decided to switch paths and that is exactly how she came up with Serendipity Literary Agency. Over the last couple of years, she has represented a wide range of authors and most of them have been featured on leading TV channels like ABC, FOX, CNN and the likes of it. As of now her agency is only open for non-fiction submissions. You can always visit this page for more details about the submission guidelines. Best known as the founder of the Quill Shift Literary Agency, Ayanna Coleman comes with several years of experience in the publishing industry. Since she previously worked as a librarian, she is all the more accustomed with a setting that’s teeming with good books. Ayanna holds a degree in English and Marketing and is particularly fond of works that focus on kids and young adults. She is particularly fond of these works as she feels children’s fiction sets a solid foundation to create a beautiful habit of reading and enjoying books. So if you’re planning to send in your works, do make sure that it comes with a fun story and plenty of quirky characters. As of now, her agency is open for submissions and you can send in your works here. If you’re looking to collaborate with a literary agent who will represent your works in children’s fiction and young adult fiction Jocquelle Caiby is your perfect option. After completing a Bachelor’s and Master’s degree in English literature from Baruch College, Jocquelle decided rekindle her love for intriguing stories by taking up a career in publishing. She started off with a small gig in Serendipity literary agency and over the time, she decided not to leave the agency for the wonderful opportunities she received there. As of now, she works as a Junior Agent in the agency and is currently seeking young-adult fiction focused on fantasy, sci-fi or magic realism. So if you have a couple of similar works to share, contact her on this page. Latoya C. Smith is a literary agent who comes with experience of more than 15 years. She started her publishing career as an editorial manager to Teri Woods, a leading author. Over the time, she opted for several big and small-time offers before finally settling with L. Perkins Agency. Owing to her incredible performance, she also bagged the RAW Golden Apple Editor Award Of The Year (2012). As of now, she is open for submissions and is particularly interested in takes about women’s fiction, thrillers and romance. So in case you’re looking to collaborate with her, here’s everything you need to know about the submission guidelines. Kemi Faderin is yet another talented and highly experienced literary agent who is fond of YA and historical fiction. Hailing from Maryland, Kemi completed her Bachelor’s degree in English and M.S in Publishing from the New York University. Shortly after qualifying with a Master’s degree, she joined DG&B as an editorial intern. During this period, she also managed another internship at the Liza Dawson and Associates. Faderin loves her job and she is currently continuing her work in DG&B as a Financials and Subsidiary Rights assistant. Luckily enough she is currently accepting new submissions. Soo if you have a plot-driven young adult fiction to share- get in touch with her on this page. Having worked as an editor, a literary assistant and a literary agent, Tanya McKinnon is extensively experienced with everything pertaining to books. Her tryst with books dates back to her childhood days when she spent a significant chunk of her time reading everything she stumbled upon. As she grew up, she started actively seeking internship in leading literary agencies before finally managing her first gig in OUP. After her short stint, she also bagged a few other roles before finally establishing an agency of her own. Tanya currently holds an editorial position at McKinnon McIntyre and is fond of anything related to history, multiculturalism, middle grade and YA fiction. Since she is currently open for submissions, you can always send in your works here. Nadeen Gayle is another one of the talented literary agents from the Serendipity Literary Agency. She holds a Major in English and a Master’s Degree In Law. But once she completed her degrees, she immediately bagged a short stint in the Atlanta Public School system. During this short time, she managed to shape her focus towards books and the publishing industry in general. And this is perhaps the reason why she immediately wanted to pursue an internship with Serendipity Literary Agency. She still works for Serendipity and is particularly fond of tales that focus on YA and middle graders. Nadeen is currently open for submissions and can be reached on this page. Often touted as a literary lobbyist, Dawn Michelle Hardy is best known for her strategic promotions and innovative marketing strategies. And as you’d already guess, she dons dual roles as a publicist and a literary agent. After completing her Bachelor’s and Master’s degree in English, Dawn established the Dream Relations PR Consulting Agency in 2004. Almost seven years down the line, she also joined the Serendipity Literary Agency where she plays a major role in representing both newbie and experienced writers. A couple of her clients include leading writers like Kent Babb and Jean McGianni. Luckily enough, Dawn is currently open for submissions and you can always send in both your fiction and non-fiction titles here. With more than 10 years’ experience in professional book publishing, Christina Morgan is yet another incredibly successful literary agent. After graduating from Oberlin College with a publishing course, she managed to bag a couple of editorial positions at Harper Collins and Amistad. During her stint at Amistad she actively worked with a team that rolled out several NYT best-sellers like ‘Confessionals of a Video Vixen’ and ‘Act Like a Lady’. Over the next couple of years, she collaborated with leading authors like Umberto Eco, Gunter Grass, Alice Walker and others. As of now she is working at Serendipity Literary agency where she’s actively seeking titles pertaining to literary fiction, crime fiction and narrative non-fiction. So in case you have your best works to share, send in your copies on this page. Nicole Payne is a truly gifted literary agent who loves working with children’s and young adult’s fiction. After completing her B.S and Biology and M.S in Forensic Genetics, she decided to try for a new gig and that is exactly how she came to join the Golden Wheat Literary Agency. Nicole enjoys investigating about new, quirky books with a strong narrative voice. Since she is currently open for submissions, you can always send in a couple of your best works contact her on this page. Hailing from San Francisco, Quressa Robinson is an exceptionally talented agent who has several years of experience in the publishing industry. During the early days of her career, she worked as an editor at a small literary agency before finally joining Nelson Literary in 2017. As of now, she is looking for geeky tales with mysterious, fairy-tale settings that strikes just the chord among YA readers. Quressa can be reached out on this page. Born and raised in Detroit, Michigan, Tricia Skinner is one of the most accomplished literary agents on our list. Skinner completed her undergraduate degree in Media Diversity from the Wayne State University and a Master’s Degree from the Southern Methodist University. Right after completing her education, she started off with a writing career as a newspaper reporter and was featured in leading publications like Detroit news, Investor’s Business daily and the likes of it. She eventually pursued a career as a literary agent by joining Fuse Literary Agency. Here she is currently seeking young and middle grade fiction with diverse characters. So if you have a couple of similar works to share, contact her on this page. Marlene Lynch isn’t just a renowned literary agent, but she is also a published author and editor. Throughout her publishing career, she has managed to represent leading authors and work with famous, front-ranking publishing houses like Random House and Simon and Schuster. Marlene finally came up with her very own literary agency called the Connor Literary Agency in 1985, and since then there was absolutely no looking back in her career. While her agency accepts almost every kind of titles, she is particularly fond of non-fiction titles related to Afro-American women, politics and sports. Marlene can be reached out to on this page. Janel Agyeman comes with an illustrious career in the publishing industry. Her experience dates back to more than two decades and she has plenty of experience in representing both newbie and established authors. Her sternness and strict focus on quality bagged her, the- ‘Agent of the Year’ award from Black Pearls Literary Magazine. As of now she works at Marie Literary Agency in Atlanta. While her agency is currently closed for submissions, you can always contact them for queries on this page. Nikki Terpilowski isn’t just a literary agent, but she is also an avid reader and a keen writer. Her inherent passion for books led her to pursue this career, and eventually she came up with her own literary agency called the Holloway Literary. Based in Raleigh, this agency of hers is entirely focused on adult fiction, YA fiction, Afro-American fiction and some select non-fiction titles. Since she has already represented award winning authors, you can always count on her for consistent representation. Nikki can be reached out on this page. Despite her relatively short career in the publishing industry, Kiana Ngyuen has already carved a niche of her own for her excellent work and praise-worthy collaboration skills. She joined the Donald Maass Literary Agency in 2016, and has worked there ever since. Over the last two years, Kiana has created a base of her own by connecting with both newbie and experienced authors. As of now, Kiana is seeking fiction titles with twisted narratives and creepy backdrops. So if you have something similar in mind, reach out to her on this page. Faith Childs is a leading US-based literary agent who is best known for her solid rapport with reputed authors and researchers across various genres. After an extensive career as an editor, Faith decided to come up with a literary agency of her own and that is exactly how Faith Childs Literary Agency came to be. Her agency is widely popular for picking fresh, unconventional stories with compelling twists. So if you have similar works to share, reach out to her on this page. Unlike many other agents featured on our list, Trodayne Northern is also an established writer in addition to being an agent. Trodayne comes with an extensive experience in working for leading publishing houses and he enjoys collaborating with authors, both fresh and experienced. As of now, he is the co-president as well as the lead agent at the Prentis Literary Agency. So if you’re looking to get your best works represented by him, reach out to him on this page. Do you know of any other black literary agents? Please tell us about them in the comments box below!